Ever since launching its Galaxy S10 smartphone series in the US last month, Samsung has been offering various deals in a continuous attempt to lure undecided customers. And it appears that this won't change anytime soon. The latest deal that's available through Samsung's official US website (as of today, April 7) enables you to save up to $150 on a brand new S10 and get a useful accessory for free. 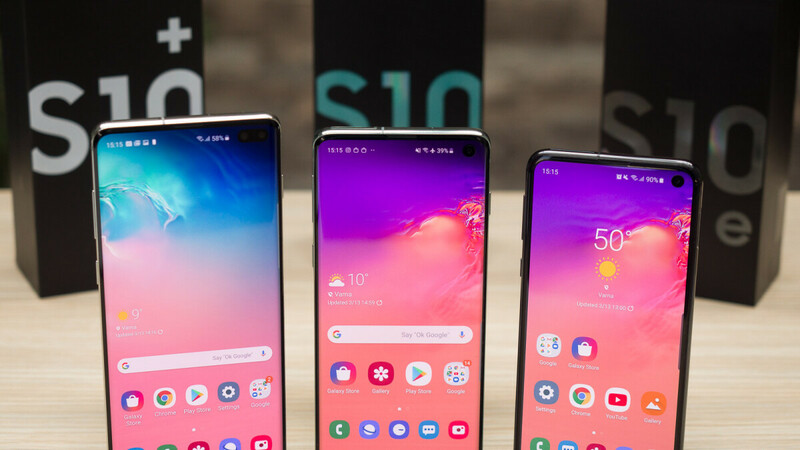 The deal includes all Galaxy S10e, Galaxy S10, and Galaxy S10+ models as long as they are bought with activation on a major carrier: Verizon, AT&T, T-Mobile, or Sprint. Unlocked devices are excluded from this promotional offer. Thanks to Samsung's newest deal, all S10e variants, plus the S10 128 GB and S10+ 128 GB are $100 off. This means you can buy a Galaxy S10e starting $649 instead of $749, a Galaxy S10 starting at $799 instead of $899, and a Galaxy S10+ starting at $899 instead of $999. Galaxy S10 and S10+ variants with more storage space (512 GB or 1 TB) are $150 off, but only on Verizon, AT&T, and Sprint. On T-Mobile, they're just $100 off. The accessory that Samsung is currently offering for free with Galaxy S10 purchases is a Wireless Charging Pad (pictured below). Normally priced at about $50, this isn't the newest charging pad made by Samsung, but it's definitely nice to have for free. The accessory is compatible with all Galaxy S10 phones and many other high-end Galaxy handsets (but not older than the Galaxy Note 5 and Galaxy S6 edge+). In case you don't want to purchase your Galaxy S10 from Samsung's website, this very same deal is available at Best Buy, too (including all S10 models except unlocked ones). Please note that this is a limited time offer, although Samsung and Best Buy do not mention when it's supposed to expire. Wow Samsung! I kinda wish that I waited now, until reading that it has to be activated with a major carrier. I'm good then.